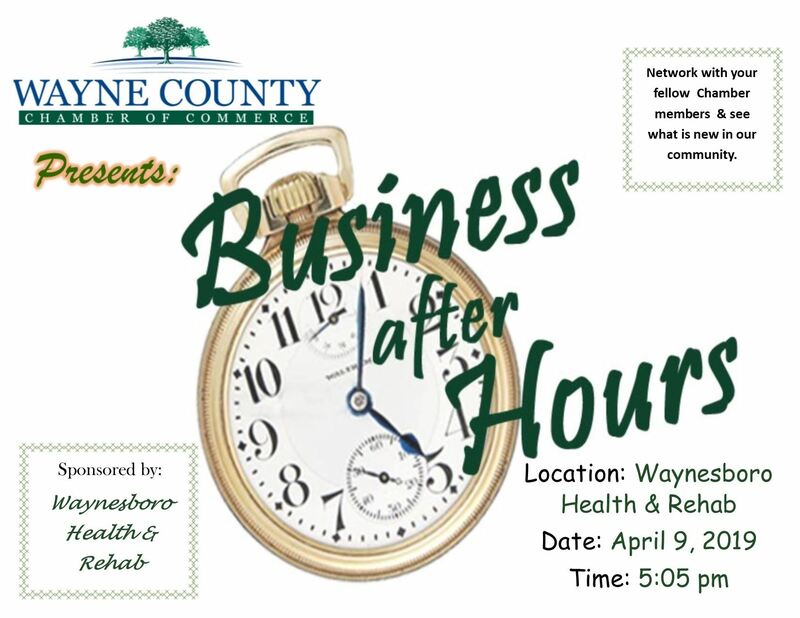 The Wayne County Chamber of Commerce will be holding their Quarterly After Hours meeting on Monday, July 12th at 5:05pm at Bear Inn Resort, sponsored by The City of Clifton. If you were unable to make the Breakfast meeting in April, you missed some valuable information that comes with your Chamber Membership, along with the opportunity to have your opinions and ideas heard to help make YOUR Chamber a better asset for you and your business. This would also be a great time to join us if you are interested in becoming a Member. We hope to see you there! Please RSVP before July 6th, 2018.